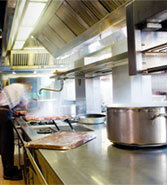 School Catering Equipment the first purchase order only website specially designed for the education sector. No need for credit cards or up front payment. With over 15 years experience in the school catering sector be assured that all of the products have been specially chosen to suit your needs, making ordering for your kitchen quick and simple. From ladles for your baked beans or a new counter fridge for your senior school canteen, School Catering Equipment provides it all. With over 15 years experience in School catering services as hands on catering consultants and operation managers, we feel that we have the knowledge to advise and help when it comes to choosing the right products for your kitchen. Our website contains thousands of products, including, catering cookers, refrigeration, ovens, microwaves, griddles, catering clothing, utensils, crockery, catering equipment, serving counters and much more...specially chosen for the school kitchen environment. We stock a large range of top brands such as Kitchenaid, Dualit, Lincat, Waring, Tefcold. These are all priced extremely competitively and chosen especially for you. Also,You can purchase your catering equipment on-line or if you would rather use your own purchase order system you can place your orders over the phone, e mail or fax.